Why are my applications slow?? This has been the #1 question for users and IT engineers alike for over 20 years. Is it the network? How about the servers? Maybe the application itself isn’t performing well! Without a comprehensive APM solution, there is almost no way to know. Now, with the NMSaaS APM solution, you can finally get a complete understanding of how applications are performing on your network and why. 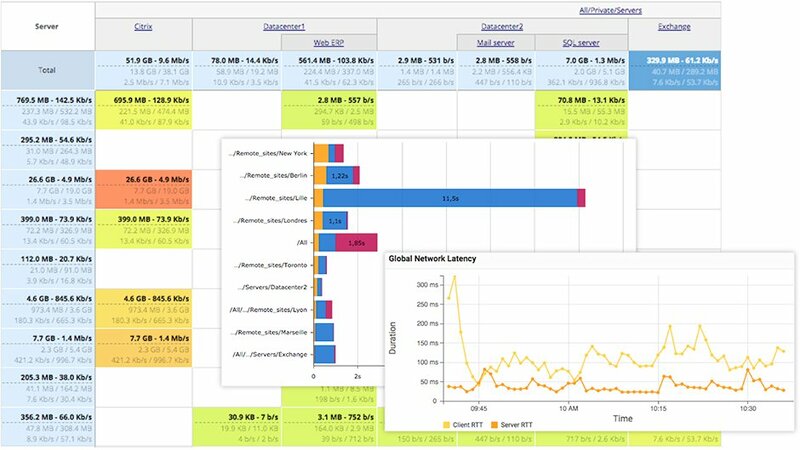 Now, when an applications performance is degraded, and your users are complaining, you will have the tools in your arsenal to give them answers. Which applications are being affected? When did the problem occur? Which application transactions were involved? We have the ability to investigate and report on virtually any application including: Office 365, Citrix XenApp and XenDesktop sessions, HTTP/S sessions (including public and private SaaS applications), VoIP calls, SQL database transactions, and CIFS/SMB file transfers. How much bandwidth is being used by various applications / users? Which users are are connecting to which servers? 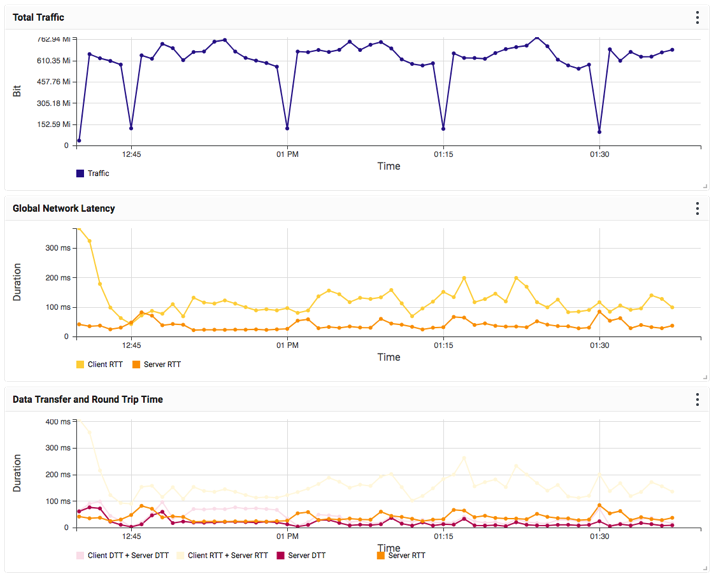 What does the long-term traffic usage look like for applications, servers, locations and networks? What links are saturated, and why? This type of information is critical for a long-term clear picture of performance related issues and network health. It is also critical to be able to quickly understand what is creating the congestion in order to isolate and fix it. In today’s applications, many transactions occur over virtual, software-defined, or cloud-based infrastructure. In addition to these locations being “invisible” to traditional monitoring tools, data centers rely upon the dynamic creation, allocation, and location of containers and virtual machines to serve critical application components. This further complicates the task of gaining visibility into the data exchanged between each and how that relates to the overall end-user experience. Our solution is a fully software-based solution for capturing, filtering, and analyzing network flows and application transactions. It can be directly deployed into virtualized & cloud environments, providing complete visibility into dynamic application chains, while consuming minimal resources. We function in all types of IT environments and provides full visibility of both physical and virtual traffic. This includes east-west server-to-server traffic within the data center, and north-south client-to-server traffic between the data center and end users or clients. Our solution is a subscription-based performance monitoring as a service solution (NPM/APM SaaS) that provides organizations with real-time visibility across networks and application chains: private, public, and hybrid cloud environments, virtualized infrastructure, and software-defined networks. We bundle wire data solution with professional services know-how to provide the right level of tools—for any application chain, network type, or IT environment—and troubleshooting expertise. NPM as a service, and APM as a Service—is delivered as a monthly subscription from as little as one month to up to three years. Choose the service plan that best fits your organization’s business priorities and budget.